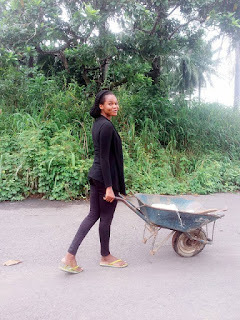 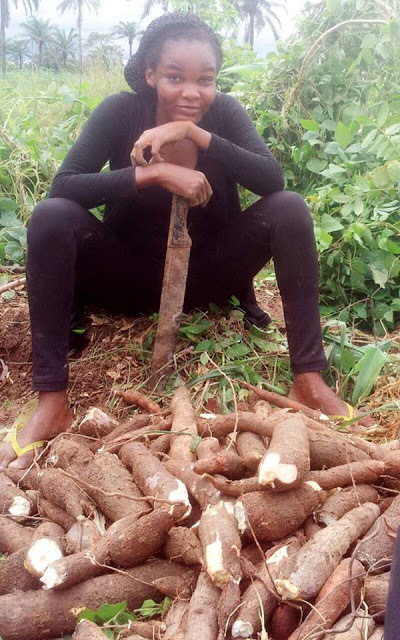 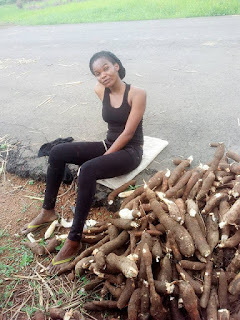 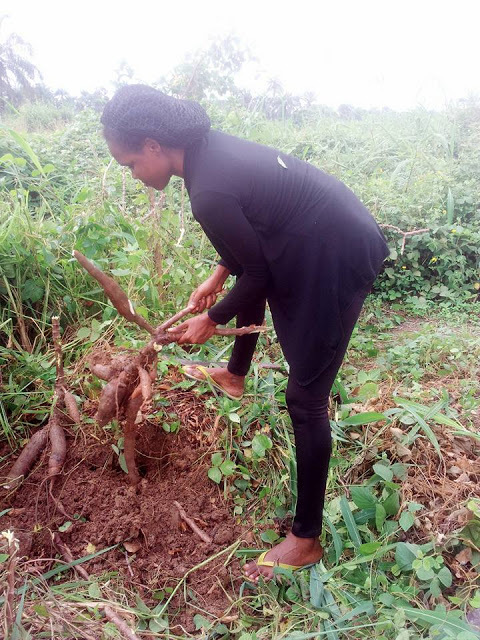 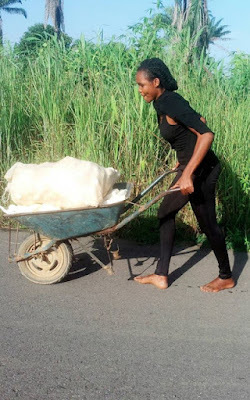 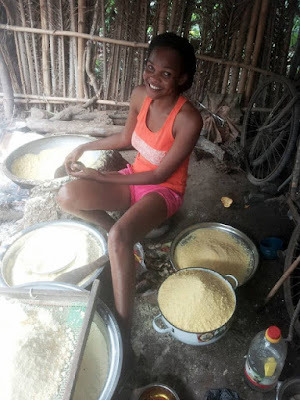 Kudos to this young lady who has decided to take the bull by the horns by going to the farm to hustle for herself... Ogechukwu Kate, a student of Ebonyi State University (EBSU), Abakaliki, has won affection from many citizens -after sharing these photos of herself cultivating cassava on her farm. 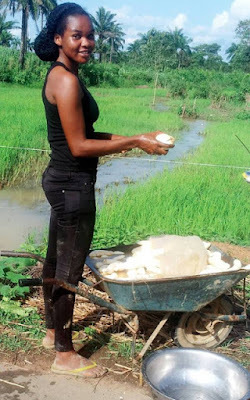 Farming is really a tough but enjoyable work to do. 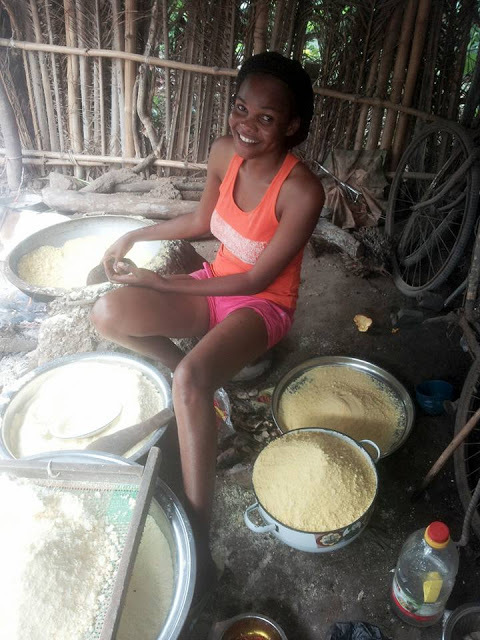 I cant imagine myself buying 13 cups of garri 400 naira when i am physically and mentally fit to go to farm.